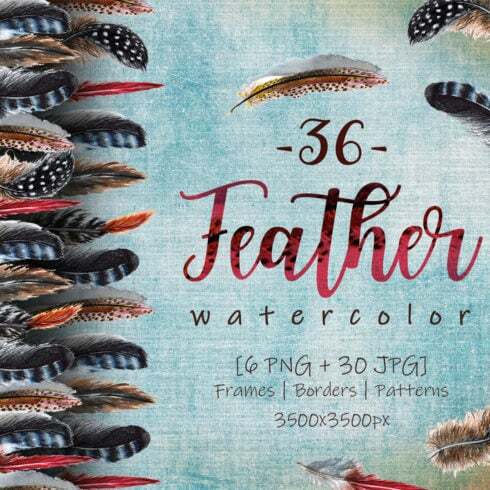 Graceful feather bird elements watercolor set of 65 files. Ideal material for DIY, wedding invitations, greeting cards, quotes, blogs, posters and more. Explain what is a a graphic bundle deal? Every artist, as a skilled specialist, undoubtedly can draw anything from a blank canvas. It can be unproductive, will take too much time. That is why most of the designers use ready-made visual components – mix these graphic components, modify them and develop the design . It is actually pointless to buy all those components as a stand alone, that is why they are combined into graphic packages and offered for sale as a singular solution. Tips on how to spend less funds on MasterBundles bundles? There’s a way to make the MasterBundles bundles even cheaper. I know they are already cheap, but there’s still place to save. If you will share this webpage via social networks – you immediately get the 5% price reduction for every of the graphic bundles you prefer. That’s a super easy way to get an expertly developed tools for less money. The collections of elements gathered into a graphics package deal are generally categorized in accordance with their main objective and type. There could be bundles with infographics, wedding invitation templates, business card templates and icons, etc. Besides that, you will also manage to find graphic packages tailored for Halloween, St. Valentine’s Day or Christmas. How can you benefit from using packages? The pros of graphic deals for designers are usually pretty evident. But if you are a newcomer to them and now have doubts, the subsequent info is going to be useful for you. Including a large number of the components within a single bundle, the collection provides you with an opportunity to use different of them for many different projects. What’s more, the cost is typically greatly reduced which lets you stretch your budget, yet get the complete set worth hundreds of dollars. MasterBundles.com could offer you a large assortment of unique bundles. MasterBundles.com offers not just graphics bundles but also about 20 other different types of products. 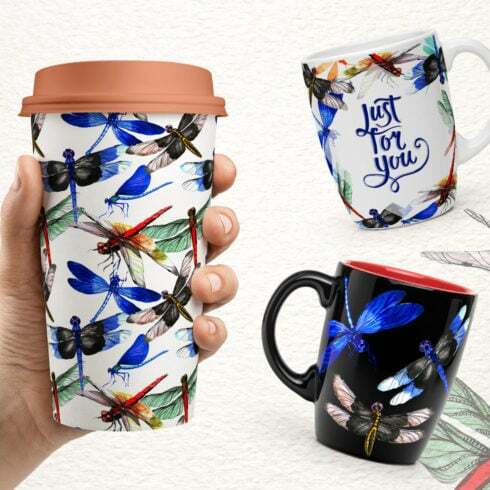 Fonts, WordPress themes, mockups, icons, photos, illustrations, presentation templates and a whole lot more – on the MasterBundles.com it is possible to obtain all of the products and solutions, required for a design. What’s a watercolor graphics bundle? The watercolor bundle is found to be the prettiest trend in design. Painted by artists on the a piece of paper, the images get scanned and included in a package deal as templates for design projects. Watercolor components are great for wedding invitations, blogs and greeting cards. All of the images are extremely detailed and prepared for print or digital use. Whether you feel like you have lost track of time when researching different tools and elements for your design projects, it is a high time to understand more about MasterBundles. This is a marketplace offering the hottest instruments (logos, graphics, presentations, icons, watercolors, fonts etc.) for web designers, entrepreneurs, and web developers at a reasonable price for a short period of time. What’s more, you may use coupon codes and promo codes for specific design deals. To not miss major info regarding the future promotions, we advise reading our blog and signing up for the email newsletter.